Determination of the neutrino mass hierarchy, octant of the mixing angle θ 23 and the CP violating phase δ CP are the unsolved problems in neutrino oscillation physics today. In this paper our aim is to obtain the minimum exposure required for the proposed Long Baseline Neutrino Oscillation (LBNO) experiment to determine the above unknowns. We emphasize on the advantage of exploiting the synergies offered by the existing and upcoming long-baseline and atmospheric neutrino experiments in economising the LBNO configuration. In particular, we do a combined analysis for LBNO, T2K, NOνA and INO. We consider three prospective LBNO setups — CERN-Pyhäsalmi (2290 km), CERN-Slanic (1500 km) and CERN-Fréjus (130 km) and evaluate the adequate exposure required in each case. Our analysis shows that the exposure required from LBNO can be reduced considerably due to the synergies arising from the inclusion of the other experiments. T2K collaboration, M. Wilking, The latest results from t2k on the neutrino oscillation and interactions, talk given at the EPS High Energy Physics Conference 2013, 18-24 July 2013, Stockholm, Sweden, http://eps-hep2013.eu/. 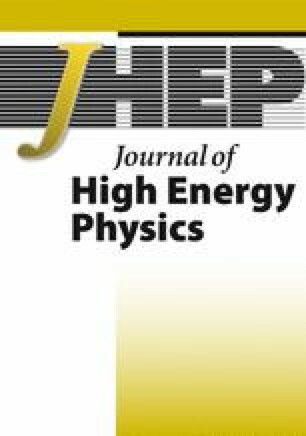 T2K collaboration, Y. Itow et al., The JHF-Kamioka neutrino project, hep-ex/0106019 [INSPIRE]. NOvA collaboration, D. Ayres et al., NOvA: Proposal to build a 30 kiloton off-axis detector to study ν(μ) → ν(e) oscillations in the NuMI beamline, hep-ex/0503053. V. Barger, D. Marfatia and K. Whisnant, Off-axis beams and detector clusters: Resolving neutrino parameter degeneracies, Phys. Rev. D 66 (2002) 053007 [hep-ph/0206038] [INSPIRE]. P. Machado, H. Minakata, H. Nunokawa and R.Z. Funchal, What can we learn about the lepton CP phase in the next 10 years?, arXiv:1307.3248 [INSPIRE]. K. Abe et al., Letter of Intent: The Hyper-Kamiokande Experiment — Detector Design and Physics Potential —, arXiv:1109.3262 [INSPIRE]. IceCube and PINGU collaborations, M. Aartsen et al., PINGU Sensitivity to the Neutrino Mass Hierarchy, arXiv:1306.5846 [INSPIRE]. M. Blennow and T. Schwetz, Identifying the Neutrino mass Ordering with INO and NOvA, JHEP 08 (2012) 058 [Erratum ibid. 1211 (2012) 098] [arXiv:1203.3388] [INSPIRE]. S.K. Agarwalla, T. Li, O. Mena and S. Palomares-Ruiz, Exploring the Earth matter effect with atmospheric neutrinos in ice, arXiv:1212.2238 [INSPIRE]. INO collaboration, N.K. Mondal, Future atmospheric neutrino experiments, talk given at the International Workshop on Neutrino Factories, Super Beams and Beta Beams: NuFact 2013, 19-24 August 2013, Beijing, China, http://nufact2013.ihep.ac.cn/. NOνA collaboration, R. Patterson, The noνa experiment: Status and outlook, talk given at the Neutrino 2012 Conference, 3-9 June 2012, Kyoto, Japan, http://neu2012.kek.jp/. P. Huber and J. Kopp, Two experiments for the price of one? — The role of the second oscillation maximum in long baseline neutrino experiments, JHEP 03 (2011) 013 [Erratum ibid. 1105 (2011) 024] [arXiv:1010.3706] [INSPIRE]. A. Longhin, Neutrino fluxes for the LAGUNA sites, http://irfu.cea.fr/en/Phocea/Pisp/index.php?id=72. Daya Bay collaboration, Prospects For Precision Measurements with Reactor Antineutrinos at Daya Bay, arXiv:1309.7961 [INSPIRE]. LAGUNA-LBNO collaboration, S.K. Agarwalla et al., The mass-hierarchy and CP-violation discovery reach of the LBNO long-baseline neutrino experiment, arXiv:1312.6520 [INSPIRE]. M. Ghosh, P. Ghoshal, S. Goswami and S.K. Raut, Evidence for leptonic CP phase from NOνA, T2K and ICAL: A chronological progression, arXiv:1401.7243 [INSPIRE]. A. Cervera et al., Golden measurements at a neutrino factory, Nucl. Phys. B 579 (2000) 17 [Erratum ibid. B 593 (2001) 731] [hep-ph/0002108] [INSPIRE]. S.K. Agarwalla, S. Prakash and S.U. Sankar, Exploring the three flavor effects with future superbeams using liquid argon detectors, arXiv:1304.3251 [INSPIRE].